You want to experience the fascination and trend sport biathlon together with your colleagues, family or friends in all its variations? We plan and organize on demand events for one or more days for the young and the old. Whether it is winter or summer! Depending on the size of your group, your potential and to fulfill your requirements we combine offers of different modules especially for you. 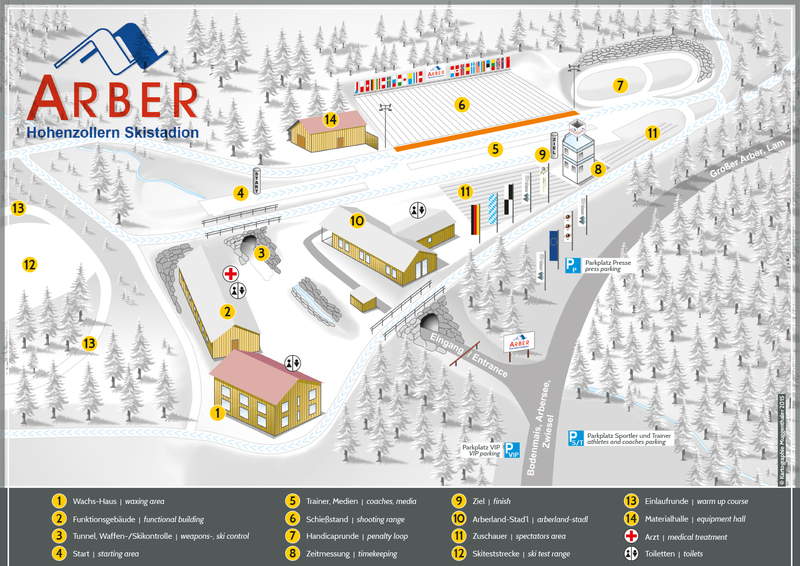 We love to organize an original biathlon competition for you at the Hohenzollern Ski Stadium. Practice, fight, sweat and laugh at the collective event. Fun, team spirit and a personal challenge will inspire you! Please bring sport clothing according to the weather conditions. Prices according to offer on demand. Equipment for rent at the stadium for plus 10 Euros per person and equipment.